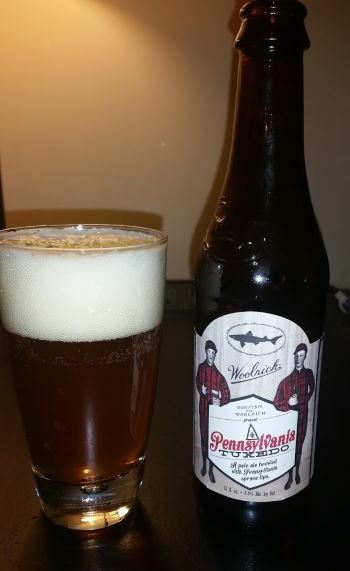 An American Pale Ale brewed with spruce lips, Pennyslvania Tuxedo is a collaboration between Dogfish Head and Woolrich. The nose is bready with plenty of pine from the spruce lips, though they’re just barely beginning to play their part. There’s some orange and caramel in the middle, but the predomint notes are piney in nature. I’m nearly certain that I can taste every part of the tree. The finish is slightly sweet with the orange coming back into play, and a bit of licorice and brown sugar. It’s a wonderful twist on a play ale, and though it’s certainly not the pine of a West Coast IPA, would probably appeal to many of the same fans. A really nice, and really fun beer. 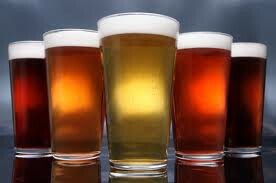 This entry was posted in Reviews and tagged Ale, American Pale Ale, Collaboration, Delaware, Dogfish Head, Pale Ale on March 5, 2016 by Xander.